Covering a vast corner of northwestern Australia, the Kimberley is a seemingly endless landscape of massive gorges, huge Boab trees, rugged escarpments and horizontal waterfalls. 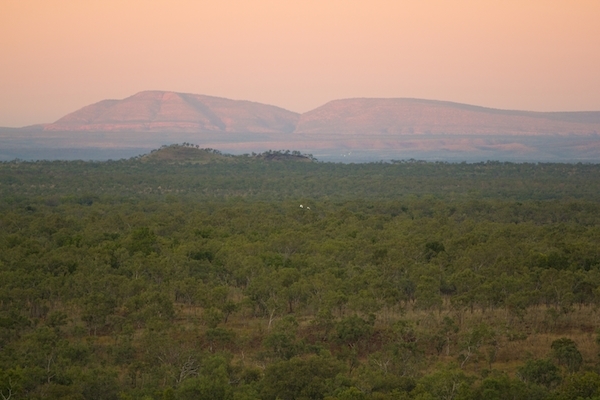 One of the world’s last great wildernesses, the Kimberley is the iconic Australian Outback, peppered with gigantic cattle stations, red hardpack roads that seem to disappear in the distance as if a mirage, fearsome saltwater crocodiles, kangaroos and all their cousins, a strong Aboriginal culture, and a friendly local culture. 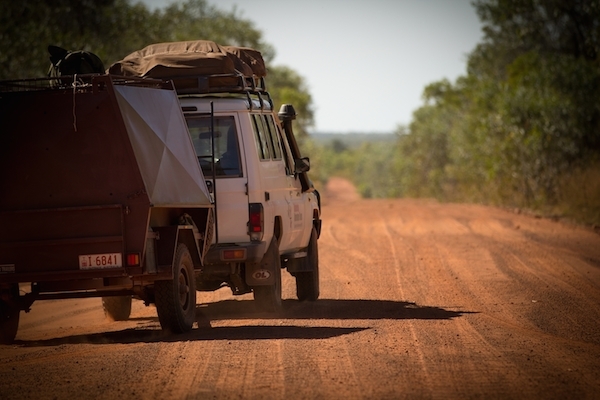 One of the best ways to experience the Kimberley is to drive the Gibb River Road, which cuts through this massive wilderness. It is where the Outback is most alive. Driving the Gibb River Road through the Kimberley brings the traveler to Australia’s most wild Outback. Sunrise over Bell Gorge, the Kimberley. 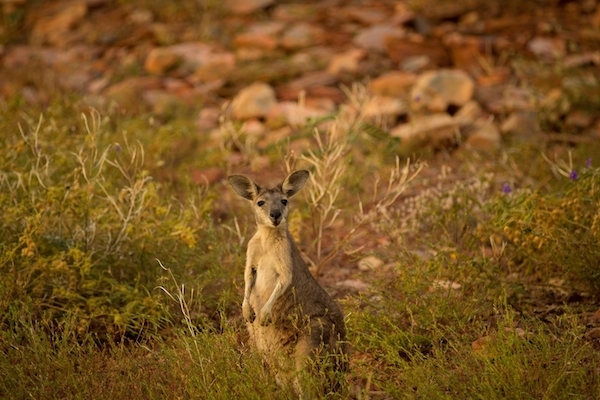 Early morning and late in the day are the best times to spot wallabies, kangaroos and wallaroos in the bush. 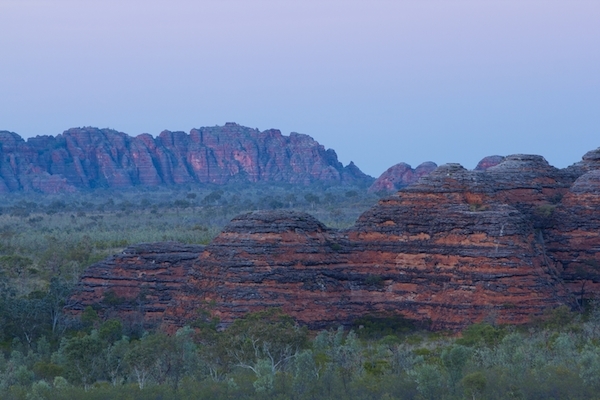 A maze of undulating beehive-shaped domes, the Bungle Bungle Range is a stunning spot to watch the sunrise. Located in Purnululu National Park, the Bungle Bungles are comprised of sandstone and conglomerate rock layers creating a tiger-like pattern of alternating golden orange and dark grey bands. Rent a bush plane or take a pre-dawn hike to a lookout to watch the sunrise over this otherworldly landscape. 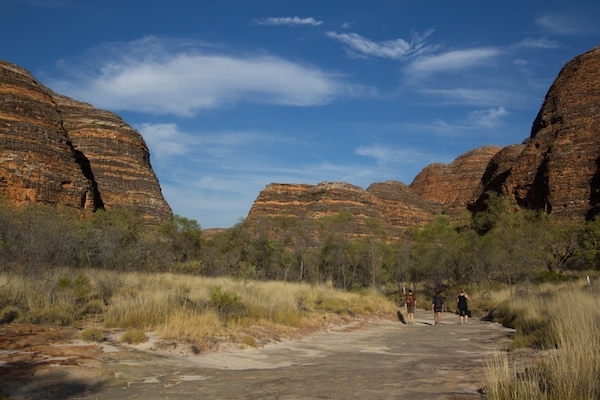 Then spend the day exploring the Bungle Bungles and their networks of well-maintained trails and dayhikes. Sunrise at the Bungle Bungles in Purnululu National Park. Hiking amongst the massive beehive domes is a unique and memorable experience. 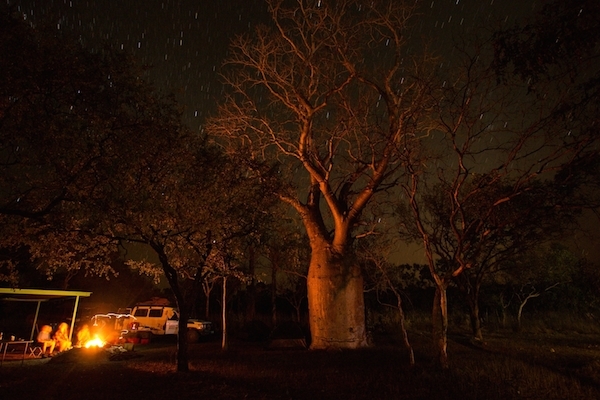 Camping at Mt Barnett Cattle Station under a large boab tree. 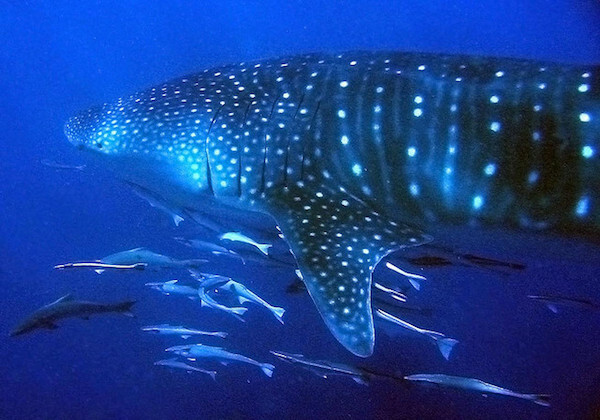 Larger than school buses, whale sharks are the gentle giants of the sea, surpassing the weight of many of the largest dinosaurs. 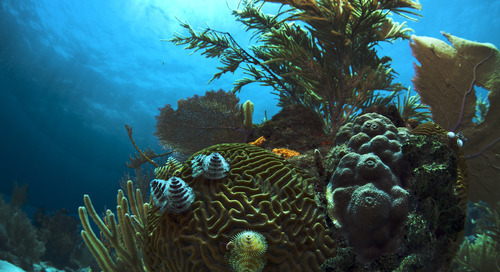 These large filter feeders cruise through the waters off the coast of the town of Exmouth from April to July, giving snorkelers and divers a rare opportunity to swim with them. There are several dive and boat companies here that run daily whale shark dive and snorkel trips during the peak of their migratory season. 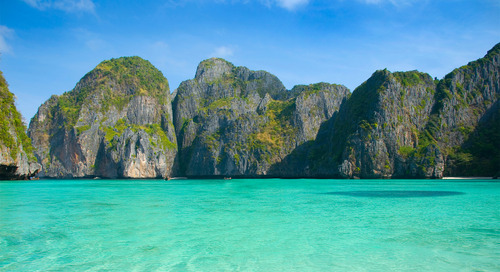 Tours often also spot manta rays, humpback whales, dugongs, and spinner dolphins. A whales hark swims in the waters off Exmouth. Photo by NeilsPhotography. At Gantheaume Point, on Cable Beach in Broome, travelers can walk in the footsteps of 130-million-year-old dinosaur footprints. An excellent preserved set of tracks, this rare collection includes the footprints of five known dinosaur species. 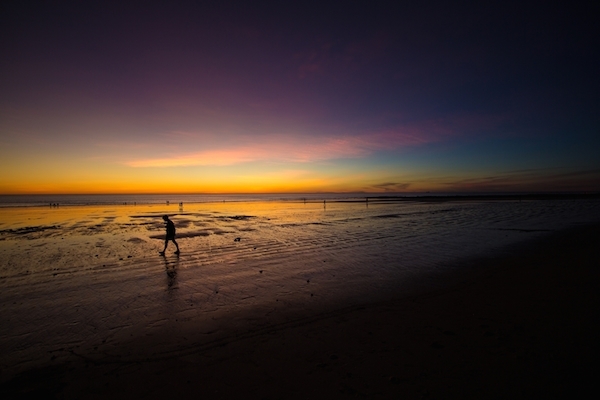 The best time to see them is during low tide, so check the tides before planning your trip to Broome. 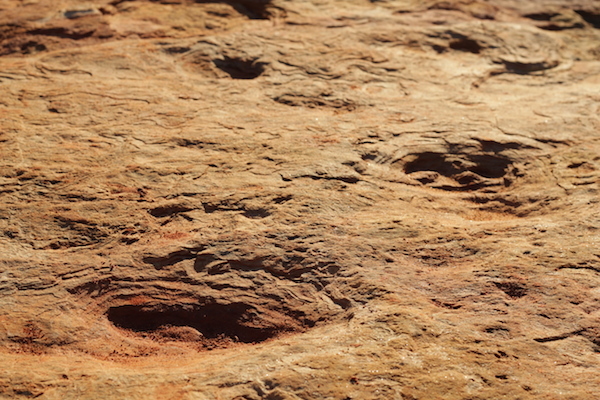 Walking amongst these giant footprints in this beautiful and ancient landscape, it’s easy to imagine what Western Australia was like over 130 million years ago. 130-million-year-old tracks at Gantheaume Point on Cable Beach in Broome. Sunset at low tide on Cable Beach. Inspired to explore Western Australia? G Adventures runs a number of departures and activities there. Check out the incredible journeys we offer and start planning.